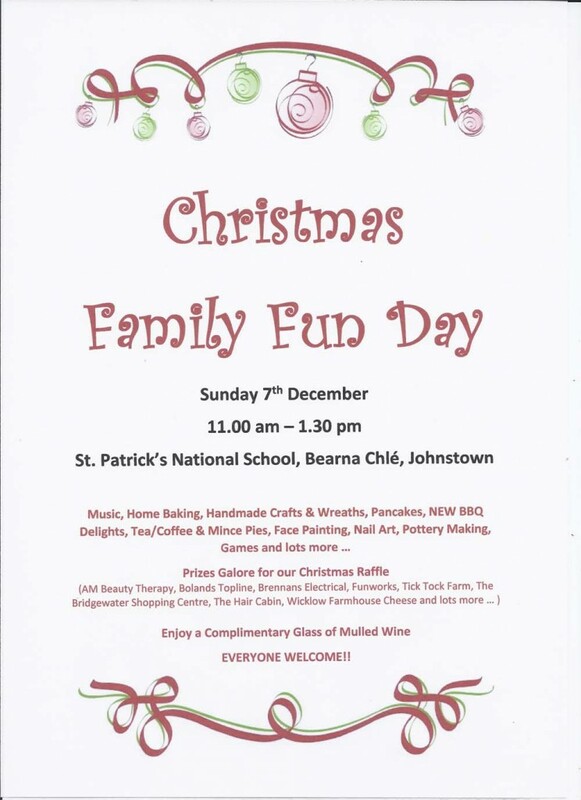 Christmas Family Fun Day at St. Patrick’s National School, Bearna Chlé, Johnstown on Sunday 7th December from 11.00am. Music, Home Baking, Handmade Crafts, Wreaths, Pancakes, NEW BBQ Delights, Tea/Coffee & Mince Pies, Face Painting, Nail Art, Pottery Making, Games and lots more … Fantastic prizes for our Christmas Raffle. Enjoy a Complimentary Glass of Mulled Wine. EVERYONE WELCOME! !